Congratulations, everyone, WE MADE IT! We survived the football dead season and have made it into the football teaser season. Spring football is here and it brings with it a delicious taste of the sport we love. But even though football is back, the spring can be bittersweet. Although the team returns to practice and we get a fresh influx of rumors and reports to satisfy our taste buds, the information is limited and almost always positive (everyone is really competing, the guys are in great shape, etc. ), with no real way to measure the team’s progress … That is, until the Spring Game! With the Spring Game scheduled for April 21st, I think it is fair to put together my wish list for what I hope to see during the game. Disclaimer: Even though we saw the Spring Game used as a big recruiting event last year, and the new regime appears to be sticking to that model, I am focusing my wish list on the game itself and not anything that may happen outside of the game. Separate themselves from the pack or get separation? Well, both. I’m hoping to walk away from the Spring Game confident that we have at least two wideouts on the roster who can consistently win match-ups against D1 competition. I am confident that Dillon Mitchell can regardless of where he lines up, so I am really looking for someone else to step up with him. I would like to see Johnny Johnson III come out of the game as the clear favorite, but you won’t hear a word from me if Brenden Schooler or Jalen Hall (assuming he does indeed make it for the second part of spring practices) are able to take the spot. I am well aware that Tyler Shough is on campus and has the look of a big time player. I am also aware of just how dreadful the offense looked when Justin Herbert went down last season. 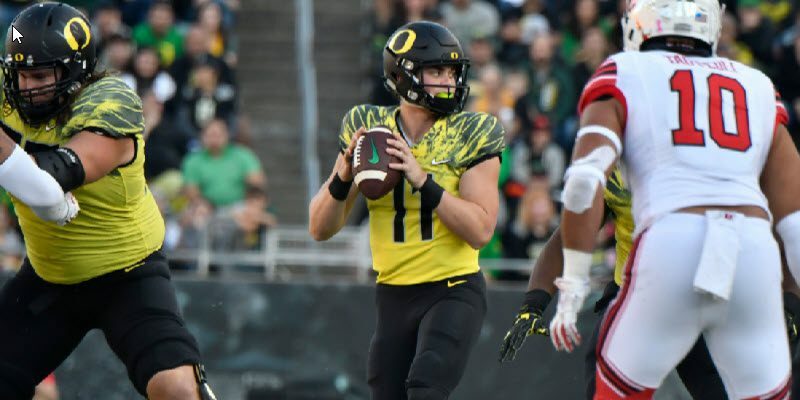 Even though I am aware of both of these things, I still believe it is in the best interest of the team to have Braxton Burmeister step into the backup role at quarterback. In my mind, the ideal scenario is for Braxton to prove he can complete enough passes to finish games, allowing Shough to focus on acclimating both to school and football on a new level. The ultimate goal here is to have two confident quarterbacks enter a potential position battle in 2019. 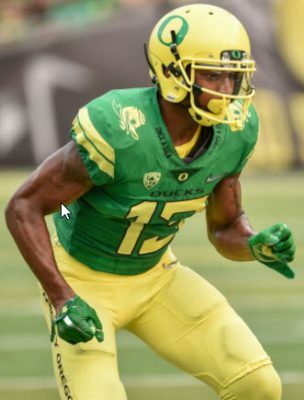 I was very excited this time last year to see the Ducks utilize more deep route combinations in the passing game, but as the season progressed, I would find myself screaming at the television for the coaches to call a slant route every once in a while. I love the deep ball as much as the next guy, but if your route combinations and/or play calling lack balance, you will eventually give the advantage to the defense. Far too many times we relied on long-developing routes that the defense was ready for and, if we’re being honest, we didn’t have the receiver talent for. I’m not asking us to abandon the intermediate to deep routes. Just throw some shorter routes in there as well (NOT JUST WIDE RECEIVER SCREENS). Even though the playbook is slim for spring games, I hope that we see enough positive changes to the passing game to let us sleep well until the season starts. Who will be Thomas Graham’s partners in crime? Deommodore Lenoir saw playing time last season and though he had mixed results, still possesses a high ceiling. His biggest competition for the number two spot could be Haki Woods, who has experience at the JUCO level and brings a lot of length to the position. This group’s depth chart may see changes throughout the 2018 season, but I would love to get a feel for who the starters will be and how much depth this team actually has at cornerback. Some of you may consider this to be sacrilegious, but please hear me out. 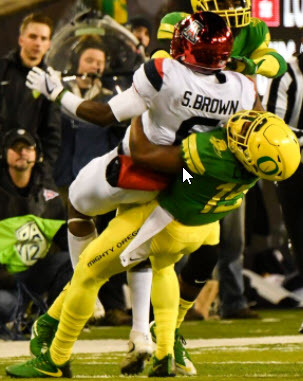 I would love to see Mario Cristobal put his stamp on Oregon Football by actually utilizing a short yardage package. (GASP! THE HORROR!) How can we take the time to actually adjust personnel and not just run a play from shotgun on the goal line? All jokes aside, I would like to see this team have some sort of short yardage package. They don’t need to get all traditional or go full Stanford on us. I would be perfectly happy having guys in tight running plays out of the Pistol Formation. The staff can put an Oregon spin on it, just give me something other than a zone read on the one-yard line please. With that, you have my wish list for Oregon’s 2018 Spring Game. There were a number of other items I considered, such as a running back proving he can move the pile or a dogfight between the offensive and defensive lines, but I would be very happy if the five items listed came to fruition in April. 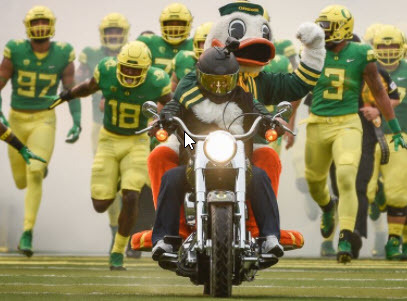 At the end of the day, I am just excited that we get a taste of Oregon Football again and, as long as no obvious issues come to light, I will be too excited to walk away disappointed. Once again, I just want to say: Congratulations, Duck Fans—we made it!